With increasing popularity in the fitness community, functional training is something that more and more group exercise classes are incorporating. This type of training benefits all people and has been very popular with bodybuilders and athletes. When done regularly, it prevents injuries, improves flexibility, and helps the body heal after injuries. Keep reading to learn more about functional training and all its benefits. Functional training has been around for decades and practiced unknowingly by people in the fitness community. It’s a popular method used by physical therapists during rehabilitation. So, what exactly is this new/old form of training? Functional training focuses on exercises that target muscles in the abdomen and lower back, strengthening the core to perform daily tasks safely. 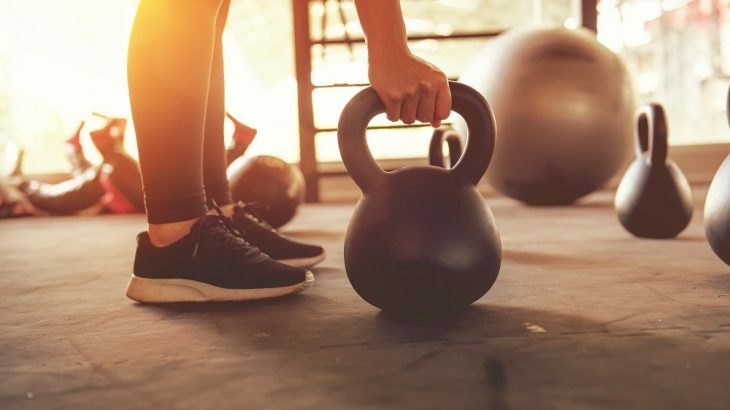 In exercise classes or when working out with a Personal Trainer in Phoenix, AZ, functional training often includes using equipment such as kettlebells and rubbers bands and exercises like squats, the farmer’s walk, chops, lifts, and deadlifts. One of the greatest benefits of functional training is that it’s good for everyone. Whether you’re a pro athlete or a regular person who attends exercises classes near Phoenix, AZ, functional training is for you. The exercises aren’t advanced and can be performed by anyone. One reason that exercise classes and Personal Trainers in Phoenix incorporate functional training is that it’s suitable for people of all ages and all fitness levels. The movements mimic everyday actions and don’t require advanced levels of fitness. The everyday person who works out to maintain a healthy lifestyle can be easily intimidated by extreme fitness classes. Exercises classes in Phoenix, AZ, that incorporate functional training allow everyday people to achieve stellar results without feeling overwhelmed or out of place. If you’re interested in learning more about how to include functional training into your fitness routine, consider enrolling in group exercise classes in Phoenix, AZ or schedule a fitness consultation with a Personal Trainer. Mountainside Fitness offers a free fitness consultation for all members. Schedule an appointment today and learn more about how functional fitness training can benefit you.